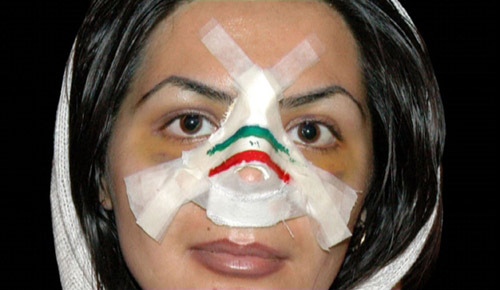 A documentary about why so many people decide to have a nose job in Iran. Most are women, and a beautiful nose is one of the few parts of their body that can be seen in public, hence the necessity to do the most out of it. You can read a description here on IMDb. Interesting series of interviews. The director asked lots of people, men and women, young and not so young, why they wanted a new nose and what it did for them. What emerges is the portrait of many people very insecure about themselves. Of course nose jobs are done the world over for this same reason, but the numbers in Iran seem to be very high. Quite a few very good looking girls who decide to have the operation, in my opionion, do so under social pressure (many say it will make it easier to find a husband) but would not really need it at all. Here on Youtube you can see the film with English subtitles. Unfortuntely I can not find a place to buy the DVD online.